Once the littlest Langr arrives, I’m excited to take a month off from freelance work and just bond with our new baby (and Joseph, who gets a month of paternity leave!!). Don’t worry - you’ll still see some new blog posts pop up on the blog. Those 2am feeding times may include some strikes of inspiration. Letters to Women has pre-loaded regular episodes all the way through the summer, so those will keep coming to you even though we’re getting settled in with a new little around the Langr house. I’m expecting about 20% productivity for those first few months, so this list is short. But I am so excited to settle in with a little baby in our new glider and read a few of these (or ask Joseph to read them to me). Here are the four books I’m looking forward to the most! ﻿I read a lot of Catholic books for reviews on different websites. Even though I love reading through new books, it is pretty rare for me to re-read a book. However, the one exception to that is My Sisters the Saints by Colleen Carroll Campbell. I’ve picked that book up off my shelves for at least ten re-reads, front cover to back cover. I’m so excited for Colleen’s newest book, Heart of Perfection. This April, I’m attending a local women’s conference with my mom and sisters where Colleen is speaking and I’m hoping to pick up a signed copy (and get a chance to tell her about how much her book has impacted my spiritual life!). When I found out The Heart of Perfection was set for release in May, I couldn’t have been more excited. I’m anticipating many re-reads even after maternity leave is over. I love Saint Pope John Paul II. He’s been a constant Heavenly friend since 8th grade confirmation prep, he’s the patron saint of Joseph and I’s relationship and marriage, and he inspired my podcast, Letters to Women. I know his writings inside out and upside down, so I decided that this year I should add another pope to my reading schedule so I could expand my horizons a little bit, even though JPII will always be one of my favorites. At the recommendation of many, many friends, I’m diving into the writings of Pope Benedict XVI. I read a little of Spe Salvi during Lent and loved it. But during maternity leave, I’m excited to dive into Daughter Zion, which was ironically recommended by Colleen Carroll Campbell in My Sisters the Saints. I’m fascinated by what he has to say about spiritual motherhood, and you can bet that this book will fuel a blog post and podcast episode or two down the road when the littlest Langr gets settled in. I first met Dr. Carrie Gress around the release of her first book, The Marian Option. She came on Letters to Women and we talked about the Blessed Mother’s influence on world events. 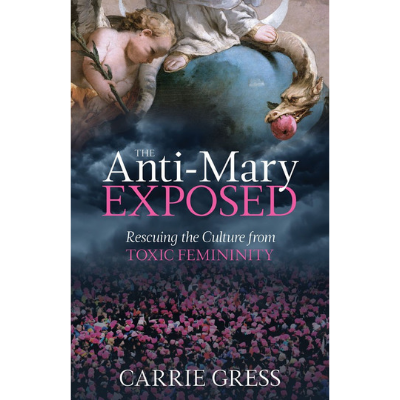 When we talked on the show, she hinted at this new book, The Anti-Mary Exposed . Now, the book is out and I’m excited to (hopefully!) finally have time to sit down with it and give it a good read-through. During my trip to Israel, I was blessed to travel with Sister Maria Goretti. She shares the name of my patron saint, and we had some incredible conversations about maternity, surrender, and trust. 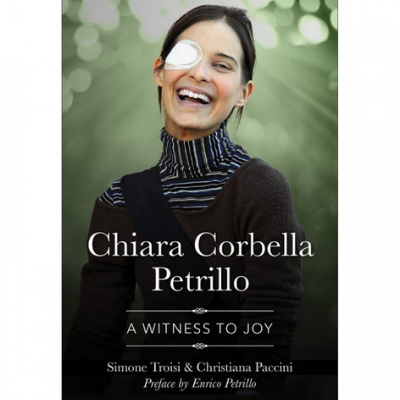 During our last dinner together, she recommended this story of Chiara Corbella Petrillo, a young Italian mother who passed away after a battle with cancer. I’m anticipating lots of tissues will be used during the reading of this book, but I’m so excited to get to know Chiara better this year!